The resting human heart rate beats close to 72 beats per minute, when we exercise this temporarily increases our heart rate, but lowers our resting heart rate in the long term. Which is good for our physical health. Being aware of our heart beat is an easy introduction to mindfulness or meditation. The mental health benefits of self-awareness and self-control are also well documented. My device uses a pulse sensor and LED matrix to provide a simple, non-numerical feedback system with which to understand our own heart beat. The device was built using off the shelf products and is easily dis-assembled for tidiness. 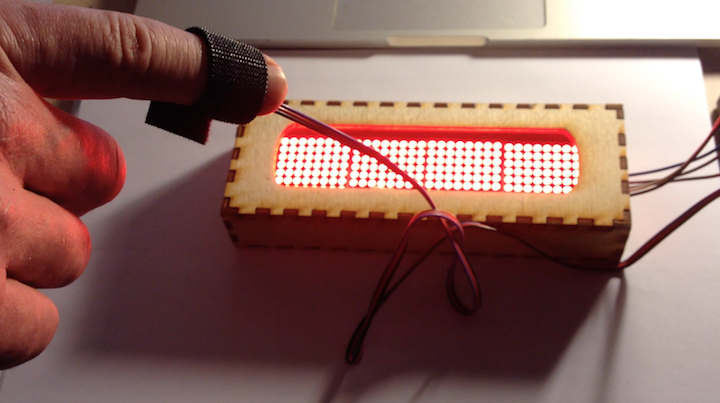 The LED matrix is encased in a laser cut box, sealed with glue and made from 3mm ply. Its compact size means you can quickly put it in a draw or leave it unobtrusively on your desk. I was inspired by the waves of wearable devices which allow for self-quantification, however I am not a fan of constant self-quantification. The intended benefits of this device are to allow the wearer to spend a little time receiving visual feedback on their pulse. This is an intentionally un-networked device. No data is stored. No self-analysis beyond the immediate use is needed. 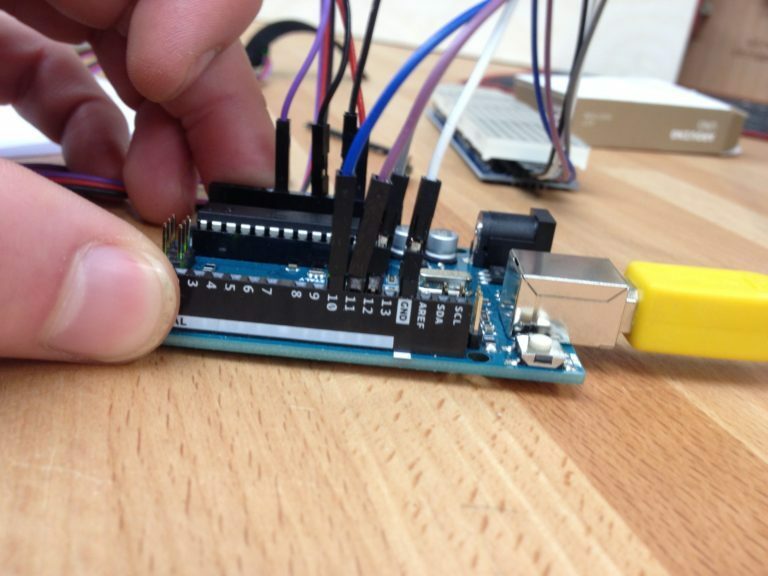 Unfortunately, the sensitivity of the pulse sensor does not always pick up my finger. I've taken this as a success of the device, as it works with other people and when applied to my carotid (neck) pulse, I must need to make changes to my lifestyle in order to begin to reap further benefits. If I were to improve the device I would automate the threshold calibration - when the signal passes the given threshold the lights turn on. 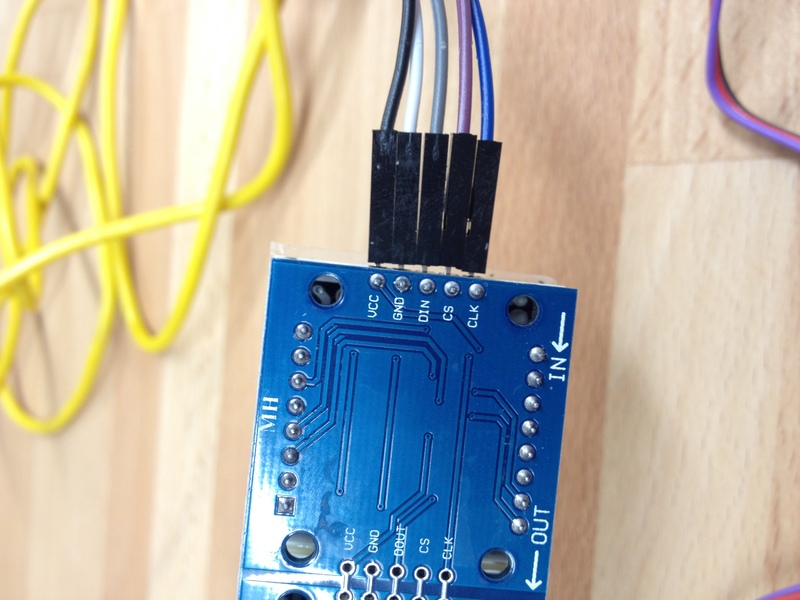 In hindsight I would have soldered a small strip board to act as a shield for the Arduino, making the device easier and faster to deploy, as it stands the device takes around 30 seconds to assemble for use. 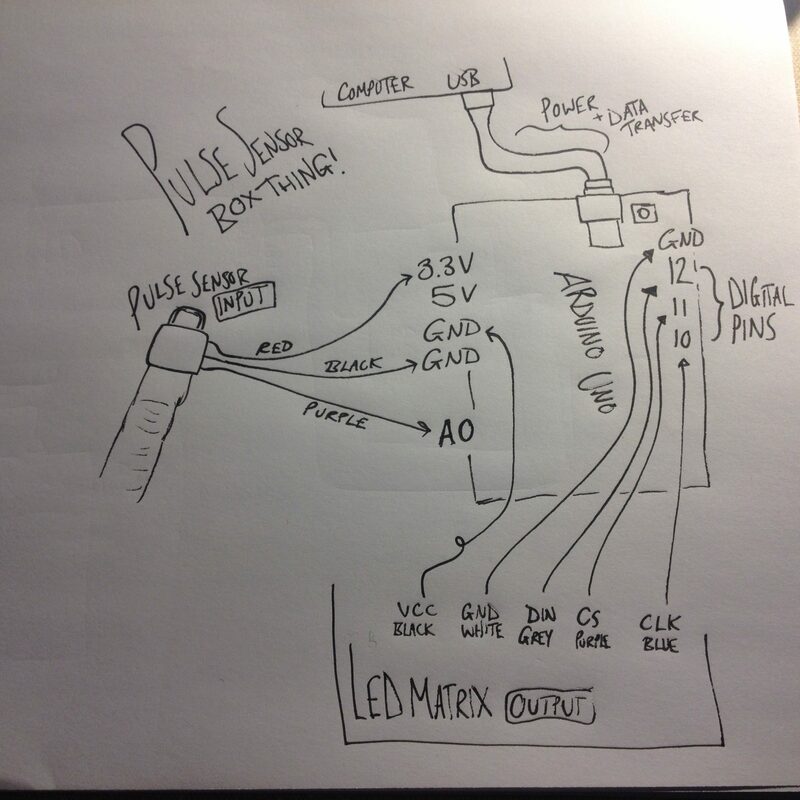 My schematic is in effect a user manual. 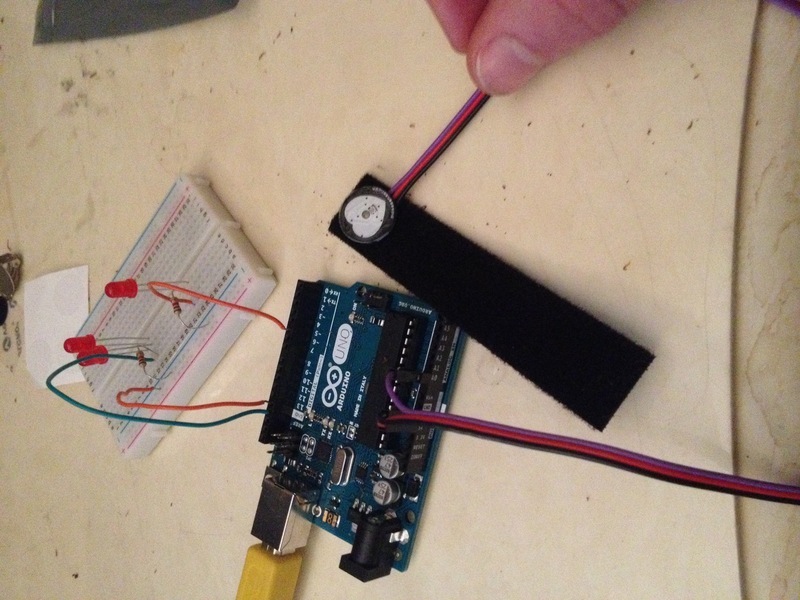 - A World Famous Electronics pulse sensor/heart rate monitor.